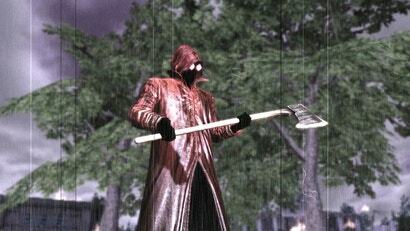 We recently finished playing Deadly Premonition on Kotaku's Twitch channel. In Deadly Premonition, FBI detective Francis York Morgan tries to find the murderer behind a series of serial killings in the town of Greenvale. Greenvale is full of colourful residents with daily schedules and humanising side-stories. Its villains are complicated and human, but once their villany is revealed, the game trades their complexity for cliches and tropes.